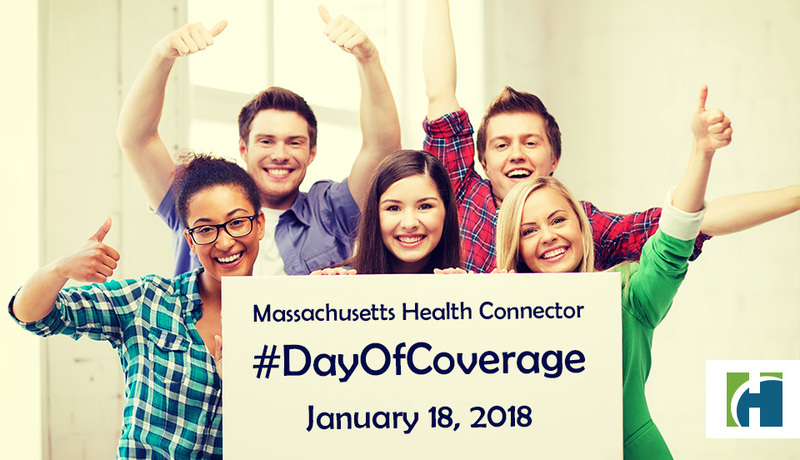 On Thursday, January 17, 2019, the Massachusetts Health Connector embarks on a one-day, multi-city tour that includes stops at six locations across the Commonwealth to remind Massachusetts residents there is still time to get 2019 health coverage before Open Enrollment ends January 23. 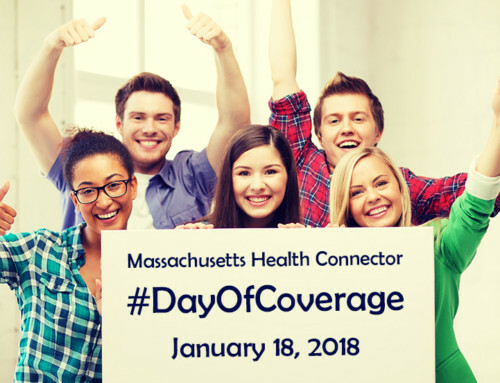 On Thursday, January 17, 2019, the Massachusetts Health Connector holds its “Day of Coverage” featuring activities across the Commonwealth designed to help people #GetCovered and #StayCovered with health insurance for the new year.“Day of Coverage” activities will be held in Boston, Lawrence, Framingham, Worcester, Hyannis, and Vineyard Haven. Open Enrollment is happening now and runs through January 23, 2019. 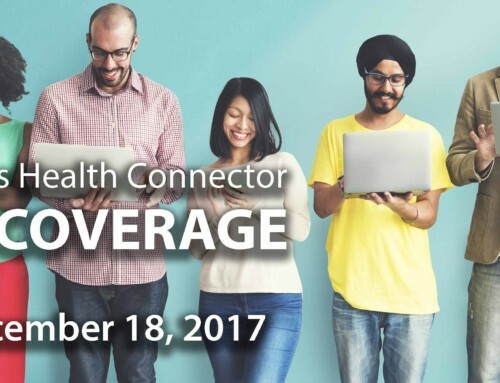 Massachusetts residents who want to enroll in coverage or switch plans to start February 1, must sign up through the Health Connector by January 23rd. 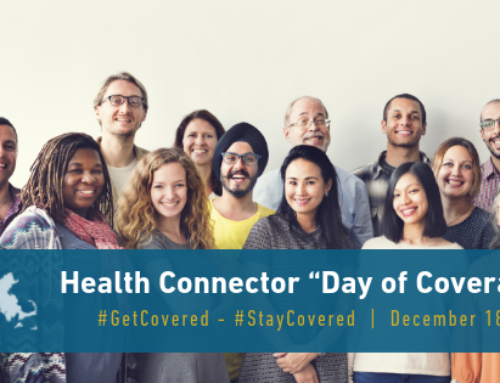 Residents can sign up for coverage at www.MAhealthconnector.org, over the phone at 1-877-MA-ENROLL (1-877-623-6765), or in person through a local navigator organization. Here’s where we’ll be throughout the day on January 17th. 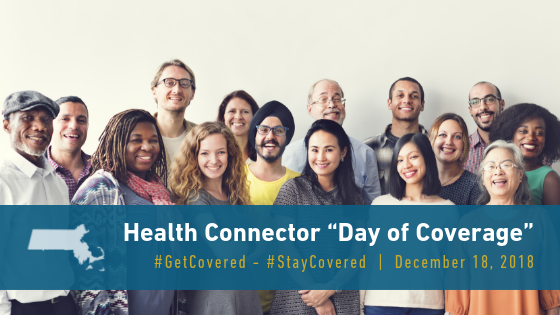 We hope you’ll join us or help spread the word by following the Health Connector on social media. A Health Connector team will be at the Forest Hill MBTA station distributing information about Open Enrollment. Join us between 8:30 and 9:30 a.m. to view the Commissioner’s Trophy! 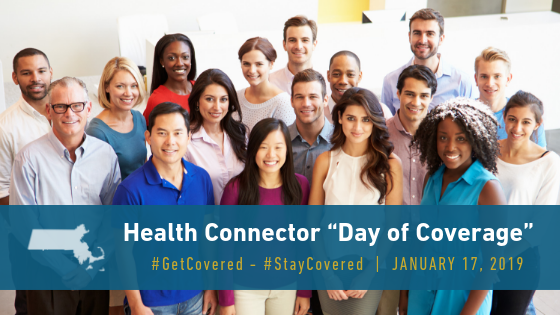 A Health Connector team and Navigators will have an information table plus giveaways to promote Open Enrollment and remind residents to sign up before Jan. 23. Health Connector will host an Ice Cream Happy Hour. Coupons for free ice cream at the Cape Cod Creamery and health coverage information handed out with the coupons. Health Connector will host a Hot Dog Happy Hour, handing out coupons for free hot dogs at George’s Coney Island plus health coverage information handed out with the coupons. In partnership with America’s Food Basket (AFB), Health Connector will host a competition to win a $150 gift card AFB promoting healthy habits. Five contestants have been selected and will compete in a healthy shopping spree to win the grand prize. Join us for the action! Plus, we will have a Prize Wheel for AFB shoppers can “spin to win” AFB prizes including discounts on groceries! Samba Steak & Sushi at 1138 Worcester Rd. Terra Brasilis Restaurant at 94 Union Ave.
Edward M. Kennedy Community Health Center at 354 Waverly St.
Health Connector will be joined by an exciting group of Brazilian Batucada musicians to and visit Framingham businesses and Edward M. Kennedy Community Health Center Navigators to encourage city residents to get covered before the end of Open Enrollment, jan. 23rd. *Some locations may be subject to change. Follow us on social media for updates.